Hi there! 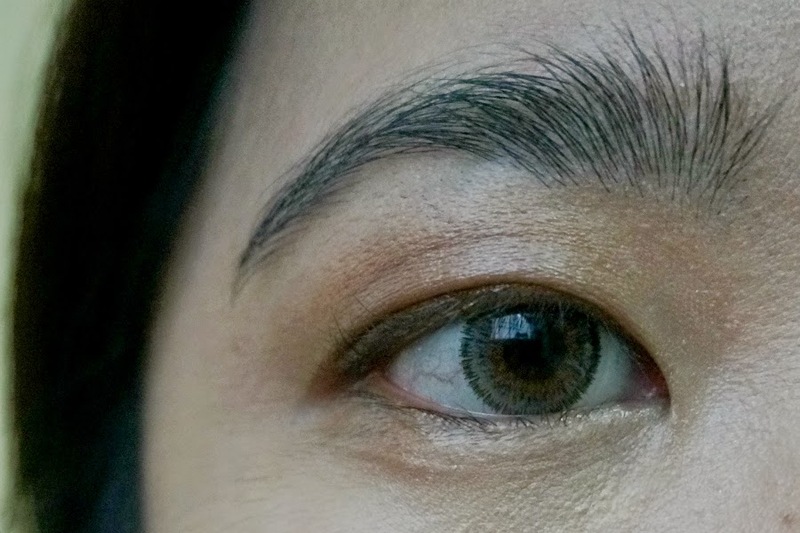 For a change, I have an eye product to share with you all today. 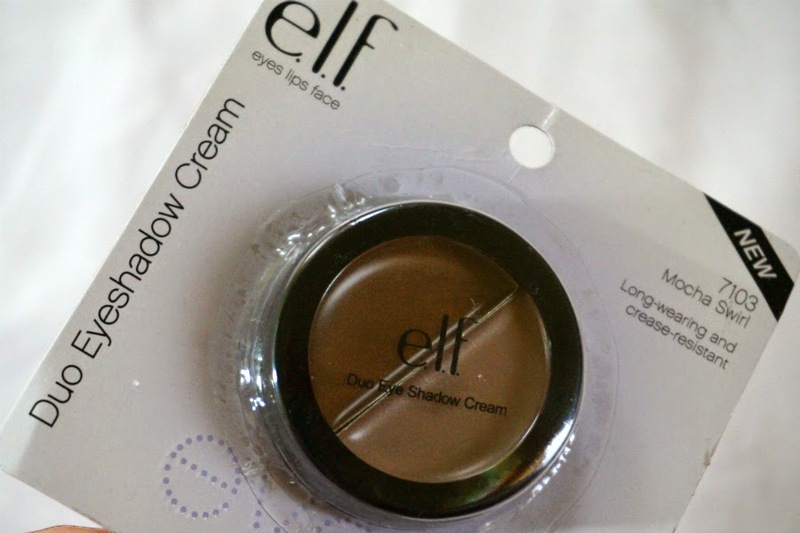 This one is ELF Essential Duo Eye Shadow Cream. I have it in color Mocha Swirl (#7103). 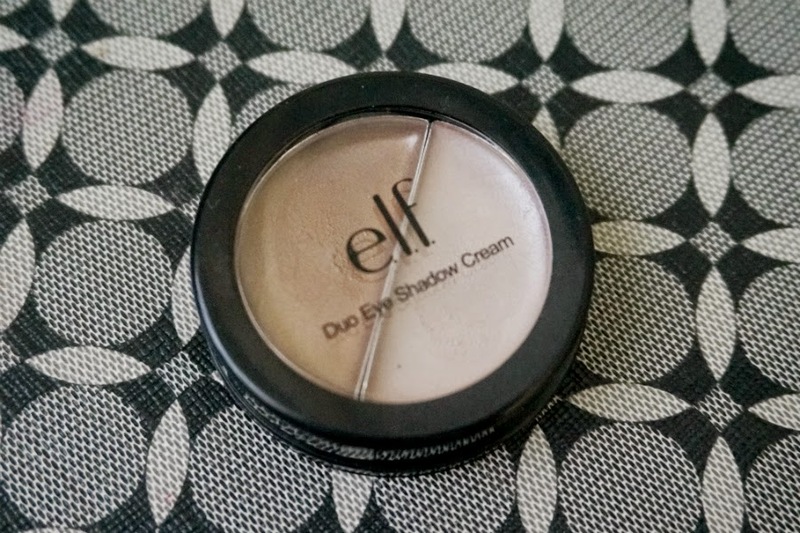 I decided on this particular duo because I was thinking I could use this as an everyday shadow. 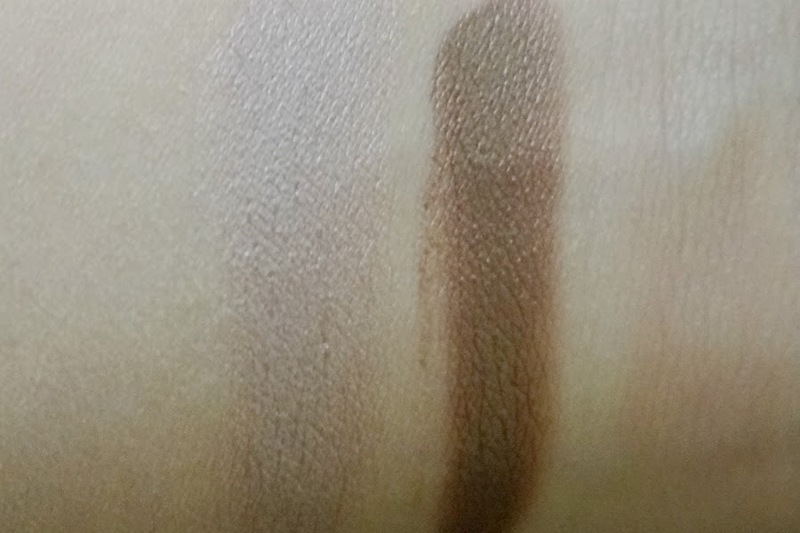 The lighter shade is a shimmery ivory pearl while the darker color is a slightly shimmery medium brown-bronze. 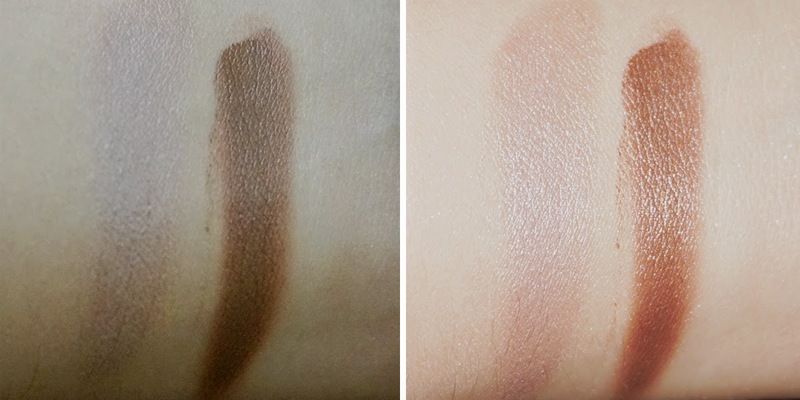 Both swatched beautifully on my arms with only a couple of swipes. Putting the product on my lids was a challenge. It was oily and slippery so the color migrated everywhere. It was just a mess. I wanted to get the same color intensity as I had swatched on my arm but it was just impossible. They are too creamy. When you layer the color, you get a lot of crease. I tired a different tactic and used just a small, thin amount. Doing this, I had some success. Some color showed up but not as intensified as I would have liked. 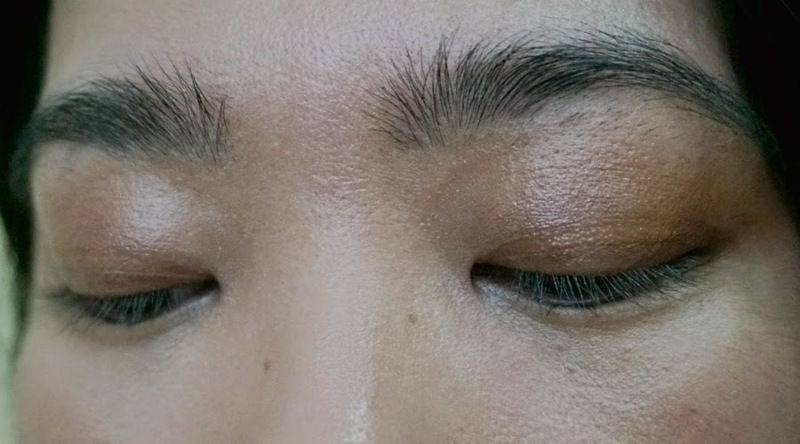 It added just a wash of color on my lids. This product has minimal staying power. 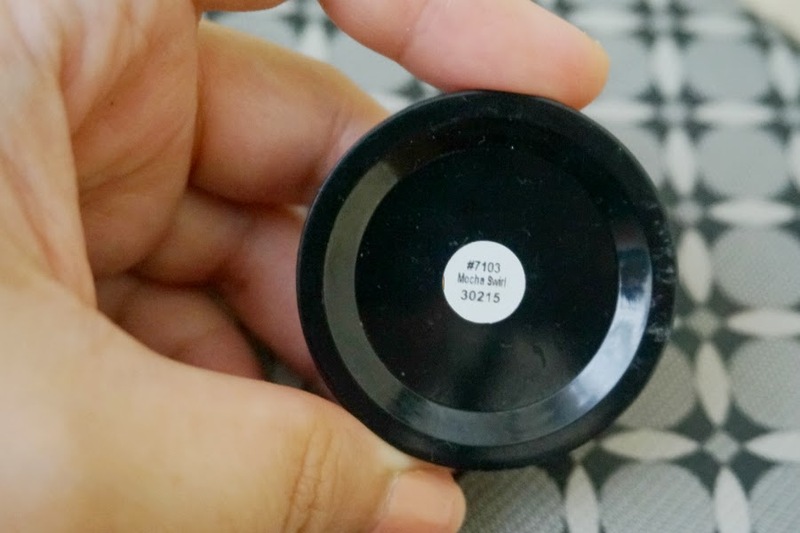 If you use it on it's own, it will crease and migrate all over your lids the moment you put it on. It's simply too difficult to work with. 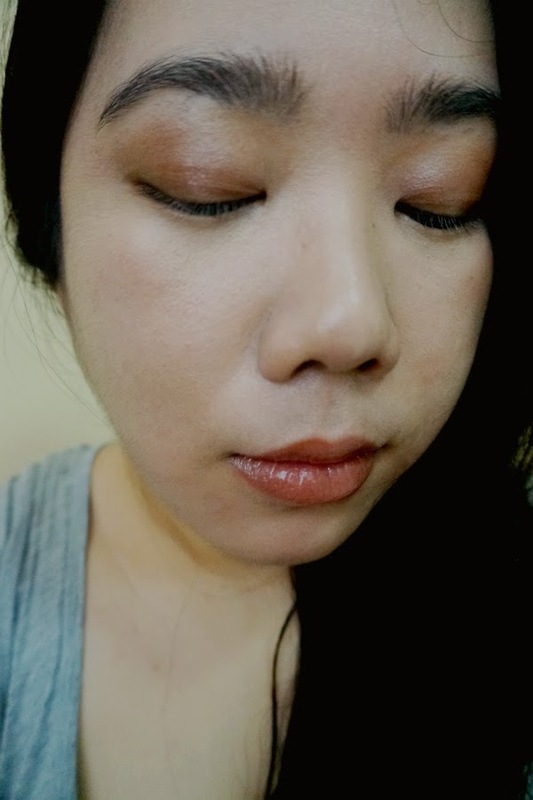 You can't build up the color because it's too oily and slippery, it won't set unless you top it off with powder. Overall: E.L.F. 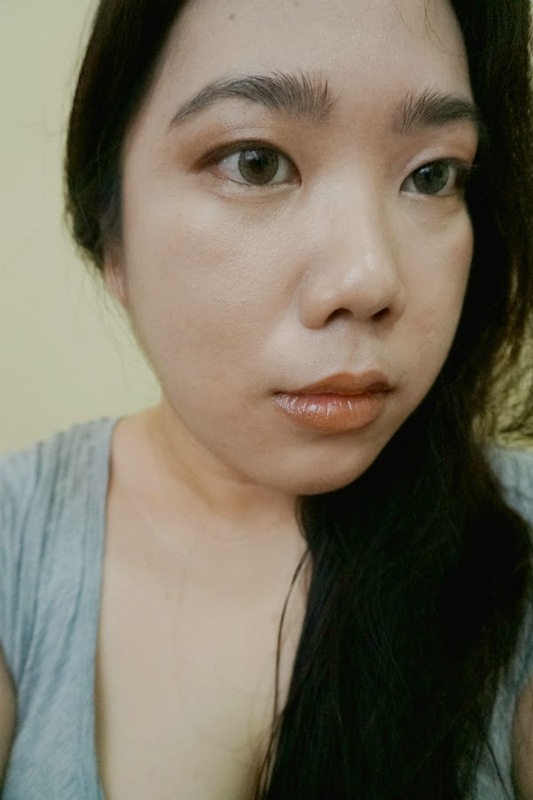 Essential Duo Eye Shadow Cream in Mocha Swirl (#7103) is a mediocre product that does not perform well. 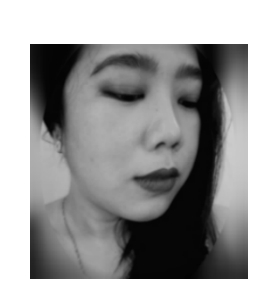 It's not good used as an eye shadow as it will crease and migrate all over your eyes. The product does not set so blending is a mess. While this is not a good eye shadow option, you can save your pennies and not throw it away by using it as a base for your powder shadows. Just remember to apply sparingly so it does not go all over your face.